As you are doing your year-end planning with clients, ask them if their Medicare coverage is in place for 2015. Medicare annual enrollment just ended for most beneficiaries. Yet many Medicare beneficiaries throughout the United States will get a second bite at the 2015 enrollment apple. Every year, carriers discontinue a significant number of Medicare Advantage (Medicare C) and Medicare prescription drug (Medicare D) plans for the following year. Affected individuals have a special enrollment period that gives them extra time to shop for new coverage and additional guaranteed access to certain types of Medicare supplemental coverage. Eligible beneficiaries would have received a letter from their 2014 plan carrier in late September or early October informing them that their plan will not be offered in 2015. That letter also provided specific information about the special enrollment period. If any of your clients think they received that letter but can't find it, they should contact their current carrier immediately for another copy. People are often upset by these letters and misunderstand them. They may think they are “losing their Medicare” or that they are no longer insurable because of their health circumstances. While neither is true, the fear often leads to confusion and inertia. • Join another Medicare Advantage plan. Most Medicare Advantage plans include a Medicare D plan. If clients select a Medicare Advantage plan that does not cover prescription drugs, they will need to buy a standalone drug plan. • Keep original Medicare — parts A and B — and add a prescription drug plan. If clients take this route, I highly recommend adding a Medigap plan to supplement Medicare parts A and B. One piece of good news is that beneficiaries have a special right to purchase a guaranteed-issue Medigap policy. If clients choose a plan by Dec. 31, their coverage will be effective Jan. 1. If they apply after Dec. 31 but before Feb. 28, their coverage will begin the first day of the month after they apply. For example, those applying Feb. 28 will have their new coverage effective March 1. That said, the later into the month people apply, the further into the following month it takes to get their coverage verification and ID cards, making it more difficult for them to get their care covered. In last month's column, I wrote about some simple tips to help people be smart Medicare shoppers when looking for new coverage. 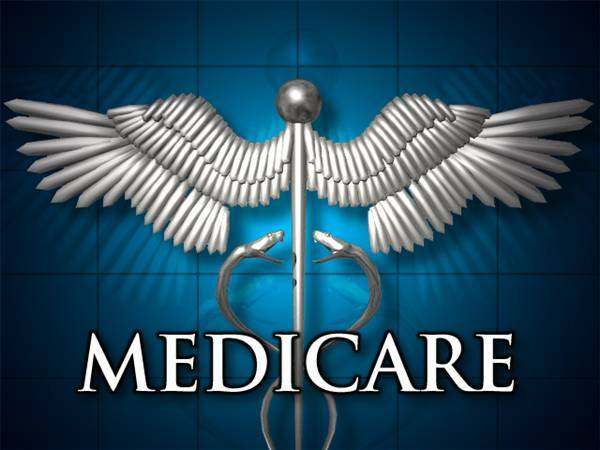 In addition to those guidelines, beneficiaries can call (800) MEDICARE 24/7 to speak to a Medicare representative, who can help them sort through Medicare Advantage and Medicare Part D options for no fee. • Clients who do nothing by Feb. 28 will end up with only Medicare parts A and B. That means they will have no prescription drug coverage for next year and no supplemental coverage to help pay for Medicare parts A and B deductibles, co-payments and co-insurances. They will be responsible for 100% of those expenses. The next opportunity to enroll in Medicare will be fall 2015 for an effective coverage date of Jan. 1, 2016. They most likely will pay lifelong penalties for having let their Medicare drug coverage lapse. As you are doing your year-end planning with clients, ask them if their Medicare coverage is in place for 2015. If they aren't sure, probe a little deeper and find out why. If coverage has been discontinued for 2015, advise clients to find the letter their 2014 Medicare carrier sent them in the fall. It spells out their special enrollment privileges and the deadline. That letter also serves as verification of their right to special enrollment. They should look for new coverage options right away.